When looking to buy a Mitsubishi car for sale, our Louisville car dealers at Mitsubishi Store Clarksville strive to exceed your expectations in every way possible. In addition to listening to your needs, we are proud to provide expert knowledge and friendly customer service. No matter what performance, safety, or special features you are looking for, we are dedicated to helping you find an exceptional vehicle. Not sure which of our Mitsubishi cars is the best fit for you? Speak with a Mitsubishi car dealer today! For those in search of a bold, budget-friendly, and fuel-efficient car with the latest features, look no further than the 2018 Mitsubishi Mirage. This model year is available in three trim levels: ES, SE, and GT. Choose one of eight bright exterior colors to truly customize your ride. Included in all trim levels is the 1.2-liter MIVEC DOHC, three-cylinder engine, which renders 78 horsepower and 74 lb-ft of torque. A five-speed manual transmission or continuously variable transmission is available, while hill start assist comes standard. 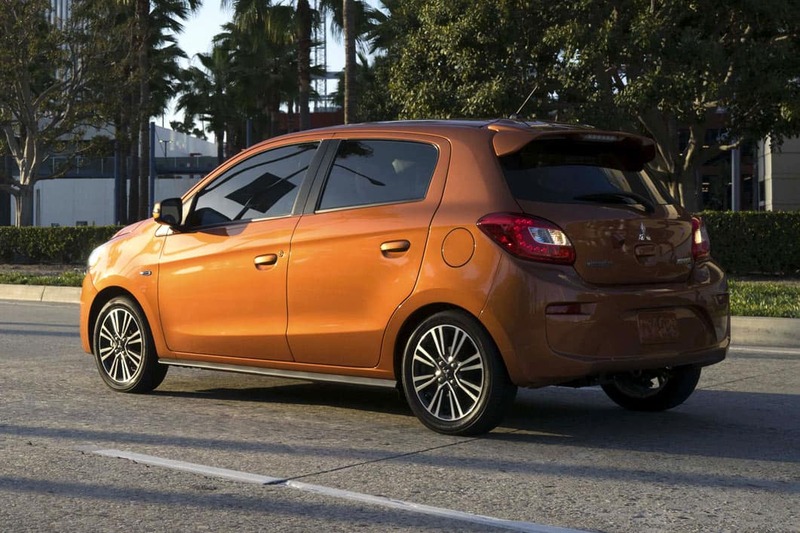 The Mitsubishi Mirage is the most fuel-efficient non-hybrid car in its class, clocking in at 37/43 mpg city/hwy. Albeit a compact vehicle, it doesn’t lack in interior space. 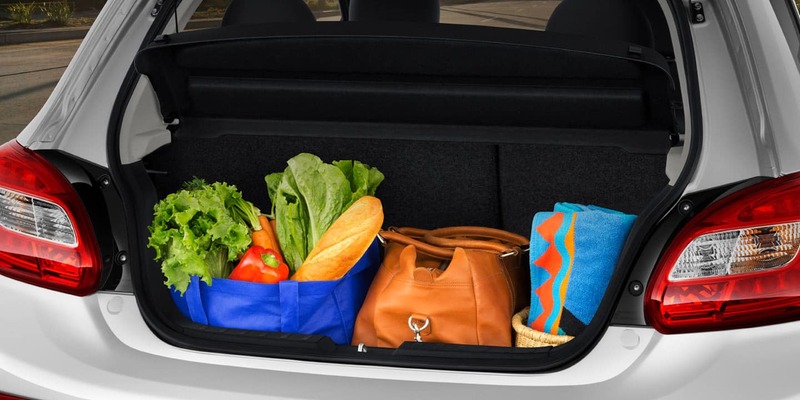 The 2018 Mitsubishi Mirage offers drivers a grand 12.2 cubic feet of cargo room, which rivals many midsize sedans. However, if you need additional space, you can engage the split-folding rear seat to create up to 47 cubic feet of total storage volume. Looking for the latest in technology? No problem! 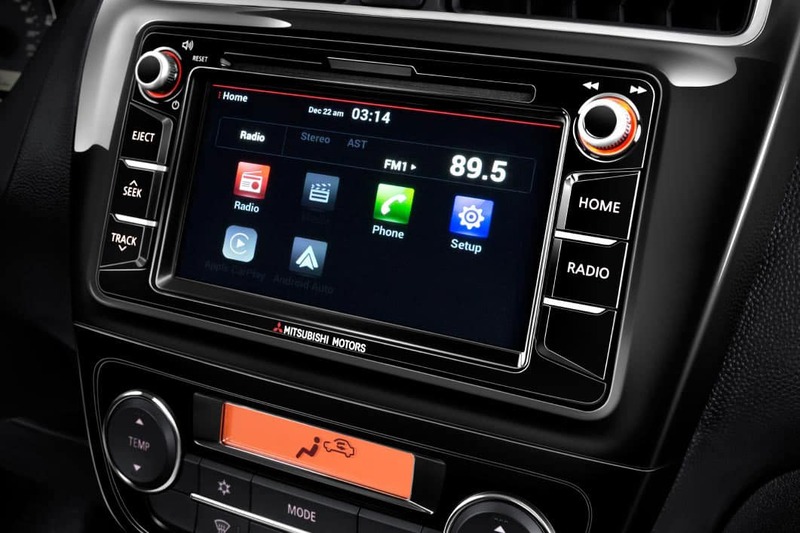 Enjoy the convenience of Apple CarPlay™, Android Auto™, Bluetooth®, and more on a crisp 6.5-inch touchscreen in the center stack. Pumping out your tunes in crystal-clear quality is the available Rockford Fosgate® EcoPUNCH™ audio system, which is comprised of 300 watts and a MOSFET subwoofer and amplifier. The 2018 Mitsubishi Mirage is equipped with a number of impressive standard safety features as well, including a rearview camera and active stability control. The tire pressure monitoring system warns you of unsafe levels, while available fog lights ensure visibility in hard-to-see conditions. Think the 2018 Mitsubishi Mirage might be the right vehicle for you? Visit our Clarksville Mitsubishi dealers today to take a test drive! We look forward to working with you soon here at 1590 Greentree Blvd.